Iran, Jan. 6, 2018 - On Saturday, a group of workers from the Haft Tapeh sugarcane company declared their support for the workers of Iran National Steel Industrial Group in Ahvaz and demanded the release of imprisoned workers. Both Haft Tapeh and INSIG are located in Khuzestan. In the past months, the workers of both companies had gone on long periods of strikes and demonstrations in protest to problems such as months-long unpaid wages and problems stemming from the transfer of the companies’ control to private owners with ties to regime officials. 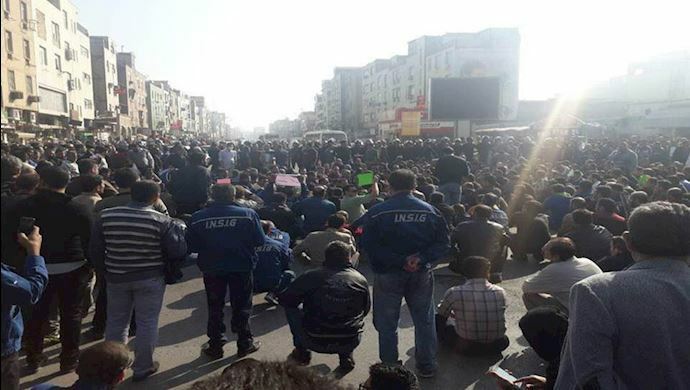 During their protests, the steel workers of Ahvaz and the sugarcane workers of Haft Tapeh developed a bond of solidarity and friendship and regularly supported each other’s protests and demands. Their movement also earned admiration and support from different segments of the Iranian society across the country, including teachers, students, merchants, truck drivers and other worker communities. Fearing the growing solidarity that was taking shape around the protests of the workers of Ahvaz and Haft Tapeh, the Iranian regime cracked down on both community and arrested their leaders and spokespersons without responding to their demands. The measures were meant to stifle potential protests that might erupt in many other parts of Iran, where workers are complaining about similar problems. 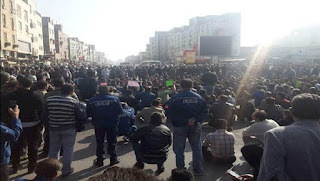 In early December, the Iranian regime’s security forces stormed the houses of the steel workers of Ahvaz and arrested dozens of people. More recently, security forces arrested other workerswho had been demanding the release of their imprisoned colleagues. The regime has also turned the steel factory into a quasi-military base by dispatching security and intelligence forces to the complex. The workers of Haft Tapeh have also seen their fair share of government repression and violent. In November, security forces arrested several workers of the sugarcane complex to quell the protests and dissuade the workers from continuing their strikes and demonstrations. Esmail Bakhshi, one of the workers of Haft Tapeh, recently published an open letter on his Instagram page, in which he described the brutal torture he subdued during his incarceration. “In the first days, I was tortured to the brink of death and punched and kicked without a word or any specific reason. I couldn’t move in my cell for 72 hours and they had beaten me so badly that even sleep was painful from the severity of the pain,” Bakhshi writes in his open letter, addressed to the head of the Iranian regime’s notorious intelligence ministry.